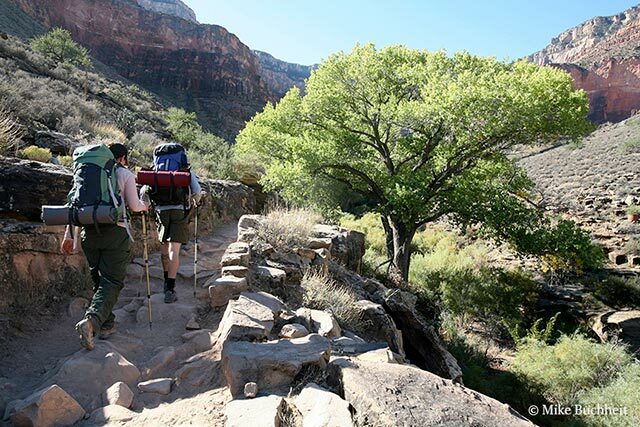 Backcountry travel in Grand Canyon National Park has long stood as one of the most coveted of wilderness experiences in North America. The National Park Service (NPS) processed over 11,000 permits in 2014, which resulted in over 88,000 user nights—the majority of which occurred along the popular rim-to-rim route known as the Corridor. The heavy use in this section of the canyon is one of the main concerns being addressed by the park’s Backcountry Management Plan (BMP) which is currently in the public comment phase. This new set of rules and regulations will eventually replace the outdated BMP that has been in force since 1988. Thousands of diehard backpackers and day hikers, and the many commercial businesses that provide guided hiking and backpacking, are all anxiously awaiting the official NPS guidance on wide-ranging backcountry issues. As part of the process, the NPS is duty bound to solicit and consider comments from the general public, and has already received over 500 letters and emails from the many stakeholders that share a passion for this world-class resource. Follow the links below for more information about the process, the issues, and how to let your voice be heard.